This fun and engaging cardio program is a beginner dance aerobics workout designed by Tracy to work every muscle in your body. Keeping you on your toes as you anticipate the next movement, the freestyle dancing and movements found here are as fun as they are a healthy form of exercise. • Dance Cardio I (30 Minutes) — Here Tracy will introduce you to the basics of learning how to dance while completing your cardio workout. This session is filled with easy to follow footwork and an introduction to non-verbal workouts. 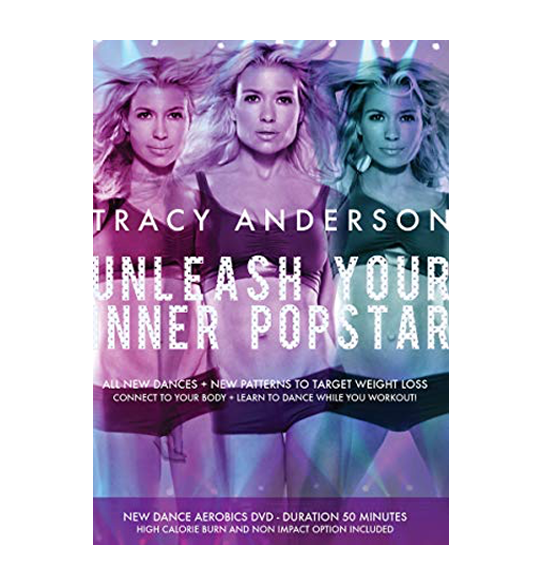 • Dance Cardio II (20 Minutes) — Here Tracy will introduce you to new footwork incorporating different rhythms and patterns that will support your growth in using Tracy Anderson Method dances as your optimal cardio workout.